Live demos will feature advanced machine learning capabilities, enhanced integration and automation, and cloud technologies. Emerson will present advanced technological solutions that comprise its Exploration & Production (E&P) software suite, at the 80th EAGE Conference & Exhibition 2018, in Copenhagen, June 11-14. The presentations, delivered on a daily basis at booth #720, will showcase the Paradigm 18 product suite, as well as the latest offerings in the Roxar software portofolio. Presentations will focus on the end-to-end E&P software portfolio offered by Emerson’s Paradigm and Roxar software solutions, which enable customers to connect subsurface technology to operational activities, reducing uncertainty through reservoir intelligence. Experts will also be available for one-on-one meetings to help participants discover the best solutions for their company’s needs. 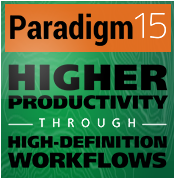 At this event, Emerson will feature the upcoming Paradigm 18 release; presentations will discuss areas of particular strength for the new offering, such as advanced digital automation across the reservoir lifecycle, tight integration, machine learning, and cloud storage. Demonstrations featuring the latest version of Roxar products will show how to optimize decisions about reservoir management strategy, based on workflow customization and automation, unified uncertainty management, and improved predictive power of models. The popular Lunch & Learn sessions will include daily case studies presented by Emerson customers, Eni and Galp Energia. Additionally, Duane Dopkin, EVP of Geoscience, E&P Software, will present a Lunch & Learn session introducing Emerson E&P software, combining leading technological solutions from Roxar and Paradigm. Advanced online registration is available for each session. Russian Hour: Two presentations in Russian language will be delivered on Monday for our Russian-speaking customers. At this year’s EAGE technical program, Emerson geoscientists will have a significant presence with six technical paper and poster presentations in various sessions under geology and geophysics. EAGE attendees are invited to attend live software demonstrations every day. One-on-one demonstrations of the company’s latest technologies and potential applications are available upon request. See the complete agenda and abstract. For more information, visit www.Emerson.com/Paradigm.